How do powers change a person? 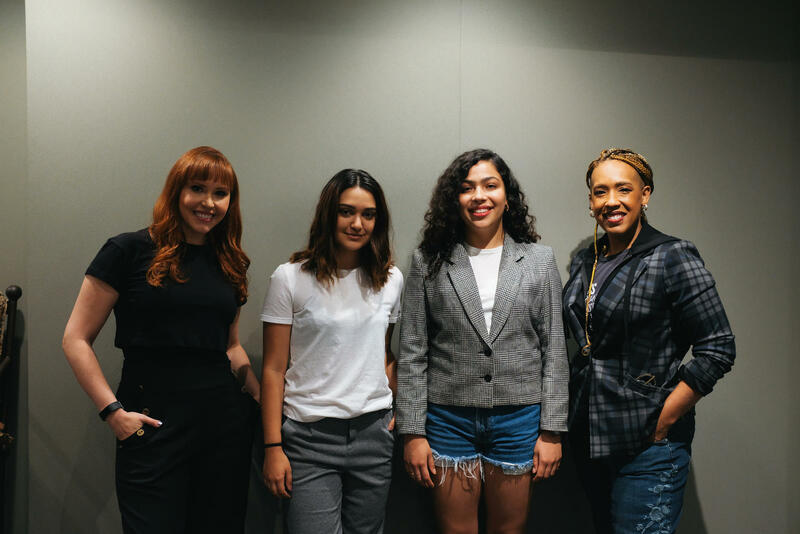 On Episode 4 "Girl Powers," hosts Lorraine Cink and Angélique Roché talk with the ladies of the Runaways, Allegra Acosta (Molly Hernandez), Ariela Barer (Gert Yorkes), and Lyrica Okano (Nico Minoru). The actors discuss how these young characters wrestle with their newfound powers and what it’s like being role models both on screen and off. The cast dug deep into everything from the light-hearted—wedgies from the stunt harnesses—to the complexities of how feminism is a key component to the Runaways. Having representation on-screen gives power to the youth, and the characters of Molly, Gert, and Nico, each boldly tell their stories in their own ways. The stressful situations of their characters transferred to the actors in real life, who had to deal with working through their emotions and stress by embracing their feelings both on and off camera. Listen to The Marvel After Show podcast, above, to hear more about how the women of “Marvel’s Runaways." All nine episodes of the official companion podcast, packed with character deep dives, behind-the-scenes secrets, and a look at how the new season relates to the real world, is available for download at Marvel.com/podcasts, Apple Podcasts, Stitcher, and your favorite podcast app.